The Defense Ministry on Friday unveiled that it will inject 238 trillion won between 2018 and 2022 toward managing the nation’s military strength and improving the nation’s defense capacity. The ministry has earmarked 160 trillion won for running the nation’s military strength and 78-point-two trillion won for improving defense capacity, an effort that would include the Kill Chain system aimed at preemptively striking North Korea’s nuclear and other missiles. 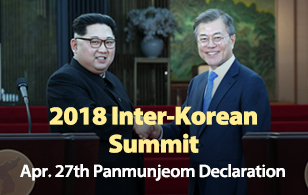 During the five-year period, the ministry will also boost the Korea Massive Punishment and Retaliation system aimed at eliminating the North’s leadership in the event of contingency. 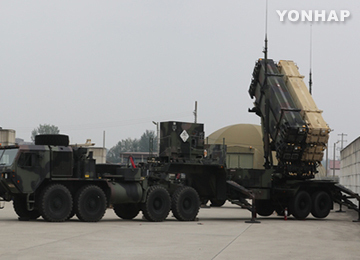 To push forward the Korean Air and Missile Defense(KAMD) system, the ministry will introduce more PAC-3 missiles and swiftly upgrade M-SAM missiles for deployment. The KAMD system is aimed at detecting ballistic and submarine-launched ballistic missiles and protecting South Korea's key facilities. The ministry will inject five-point-nine trillion won into improving soldiers’ welfare. It plans to raise the basic meal fee per soldier from the current 220-thousand won per month to 270-thousand won by 2022 and also increase the budget for clothing for service members. The ministry also expanded its budget related to participation in international peacekeeping operations from 44-point-six billion won to 48-point-three billion won.